Pine Cobble Trail near the VT/MA border to Cold River, SE of Rutland, VT: 91.7 mi. 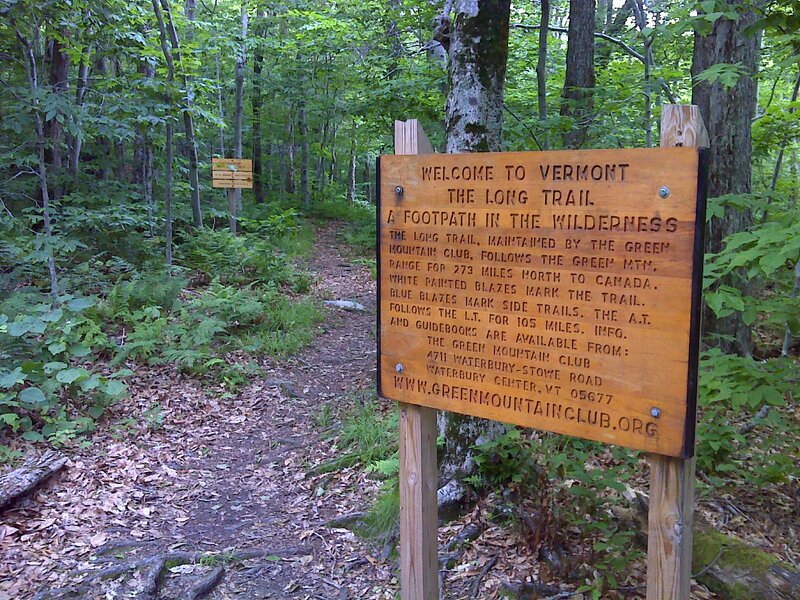 General Impression/Theme: Long Trail. This section of the AT 'piggybacks' on the older Long Trail for roughly 100 miles between the Massachusetts border and US 4 near Killington Mountain. People: 'Twisted Knickers' and 'Matchbox' - headed north from Dalton, MA on a twelve day outing. We crossed paths on at least eight of those days. 'Corky', headed to Katahdin, hiking in her Crocs, as always - kept up with her strong pace for about an hour one day and thoroughly enjoyed her company. Thru-hikers 'Swiss Miss' and 'Alien', a couple from Switzerland doing the trail on a 6 month tourist visa. More thru hikers: 'Whistler' and 'Two Cents' and 'Orange Lightening'. On a break from the trail to take care of business in MD and NC I stopped in at the ATC office in Harper's Ferry and ran into thru-hikers 'X and N Trovert', husband and wife team who reached Katahdin on September 25th. 'X,' who lives up to her trail name, went to the same High School as I did and is the younger sister of my brother's High School buddy. Supply/Overnight: AT trailhead parking lots, Municipal parking area in Bennington, VT, Manchester Center Price Chopper and EMS outfitter. Worst Memory: Two: First, losing the trail temporarily in dense fog on the open summit of Bromley Mountain. Second, hearing the news (while in Harper's Ferry) that a hiker died on the trail and then immediately learning that it was someone I had met twice on the trail, Paul 'Parkside' Bernhardt. It felt like I had been stabbed in the heart - could barely breathe for a while. Best Day Hike: This was a tough choice. Because of its overall appeal along the entire length of the hike, I'll go with the two mile walk to (and around) Little Rock Pond from Danby-Landgrove Road. The trail follows a babbling stream among lush, dense vegetation for most of the way. Close second, with a fairly long hike to get to the 'payoff', is the climb to Glastenbury Mountain fire tower from VT 9. This is a wilderness area and the panoramic view from the fire tower is of a pristine landscape. Similar fine views are available from the Stratton Mountain fire tower, accessible via the AT or from the adjacent ski area. Finally Prospect Rock, a fairly short hike up from Manchester Center (or you can even drive up via Old Rootsville Road), offers excellent views of the Manchester area and westward. Really enjoying your recaps. Some minor suggested corrections. The Troverts summited Katahdin on 25 September and N is the husband. I think you meant it was X (extrovert) who lives up to her name.